This week on 7 Minute Sunday we're chatting about redirecting negative energy from family, friends, peers, colleagues and those that mean well but just don't know better. 7 Minute Sunday will serve as a boost to beat the Sunday blues and help you get your mind right. 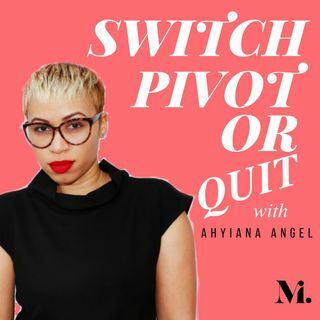 Ahyiana Angel is traditionally published author and ... See More host of the Switch, Pivot or Quit podcast, who is affectionately known as the Chief Encourager. She is a seasoned executor who eventually blocked out the world’s ideas of success, quit her highly coveted position at the NBA, moved to London and traveled the world for a stint, then followed her passion in writing to find her purpose in encouragement.